Hello! Tonight I am sharing the final installment in the Components of Health Lesson Plans Series! Since we finished this activity a few weeks ago, I’ve been able to monitor my students and gauged whether or not they truly understand the interconnected nature of health. Overall, I am very, very pleased the results of this unit. My students are definitely building a common language and becoming more versed in their ability to make connections between what we do in P.E. and the rest of the school day to how it impacts their overall well-being. For the final piece of this unit plan, students were asked to showcase individual understanding through creative projects. 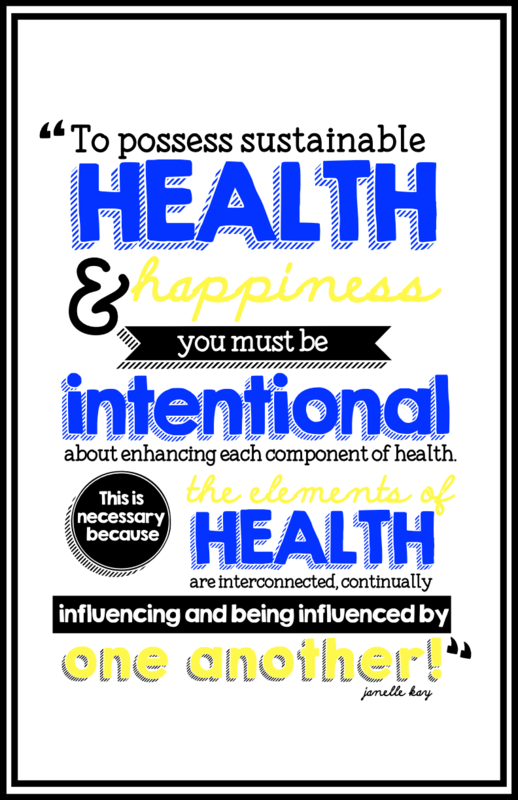 My 7th and 8th-grade students created posters with a graphic organizer or their own model to display the interconnected nature of the components of health (7th graders worked in pairs and 8th graders worked independently). While my 6th graders created a foldable brochure (scroll down to see). This (⇑) is one of my favorite examples! And here’s a peek at the rubric (⇓) students were supposed to use as a guide. Students were able to use their notes + Chromebooks and their phones/tablets to research. I just love seeing what they are able to come up with it. Click here for more student examples. Check out two more awesome examples of student work. The photo above was done by a 7th grade pair and the one below was an 8th grader. Instead of a poster, my 6th graders, created a foldable components of health brochure to showcase understanding. 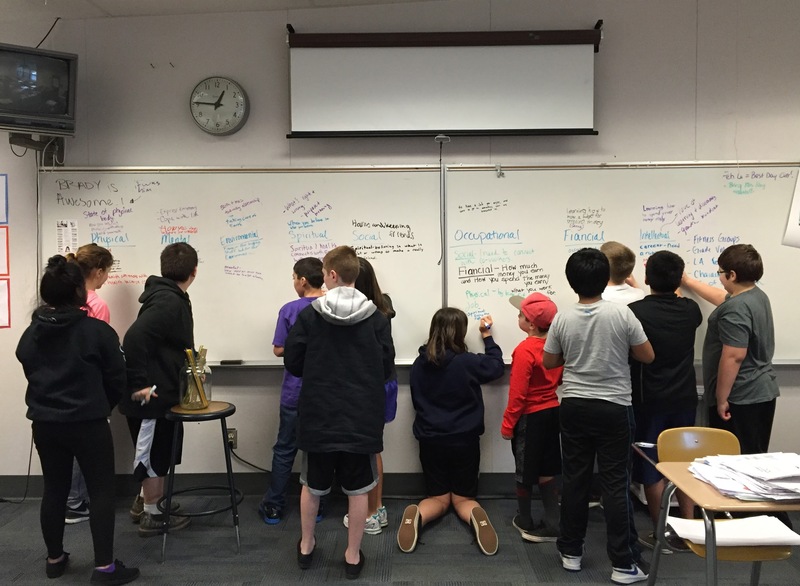 To start this final lesson, kids wrote their definitions of each component of health on the white board. They are definitely getting it! On the brochure students wrote their definition of each component of health and shared two connections to the other components of health. The final piece of the project was to design the cover, I didn’t let them start working on this until the core content was completely filled out. Students also used the Just-Post It® posters as a resource to help understand how the components of health connected to each other. This final photo is a quick snap of the brochures on the bulletin board in the hallway. To see more examples, click here. Well, that’s it for the components of health lesson plan series! After trying to teach kids about the multidimensional and interconnected approach to health for the past two years, I finally feel like I’ve created a unit plan to successfully accomplish my teaching goal. Thanks for taking the time to read this series! If you are interested in using this total health approach to health in your classroom tune into my Periscope account. I am going to start scoping on a regular basis about total health education as a catalyst for whole child education across the curriculum! For now, if you want more info check out this post.